Your incredible contributions have made the first calendar year of Founders Embassy a remarkable success. Thank you! Together, we're democratizing access to Silicon Valley so innovators from all over the world can thrive. We couldn’t be more excited for what we have in store for 2019. Over the last 12 months, we have developed and hosted two of our flagship two-week programs, welcoming companies from around the globe to San Francisco for arguably the most intensive entrepreneur bootcamp in existence. Experts from our community have led workshops in hiring, growth, sales, fundraising and more to give these founders a leg up in the startup scene. They were partnered with mentors, received investor introductions, and pitched their companies in front of hundreds at our demo night. Their satisfaction with Founders Embassy has inspired applications for our third program, which have been flowing in from over 60 countries worldwide and the selection criteria has become more competitive than ever! 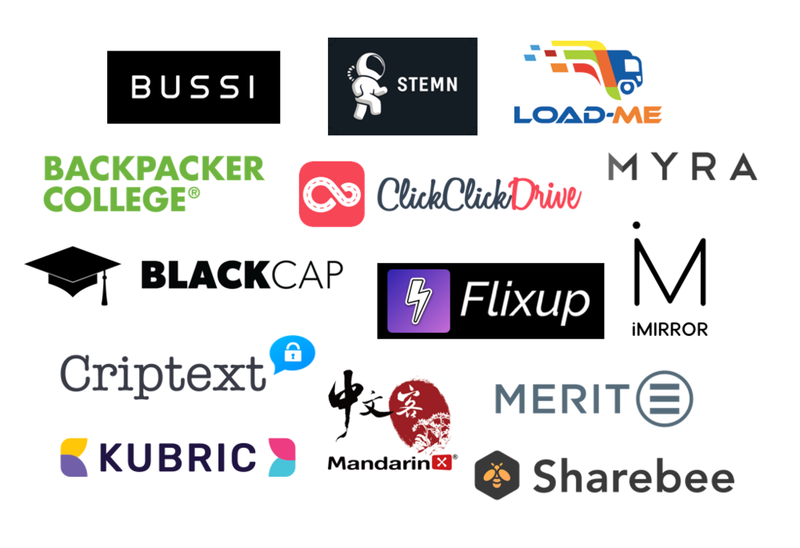 A few of our graduating startups include companies like Bussi, a van-pooling platform in Latin America; Backpacker College, which allows universities to occupy their unused dorms; Sharebee, a peer-to-peer storage marketplace; ClickClickDrive, a driving school management platform; Kubric, an AI-driven video creation tool for marketers, and many many more. The founders join us from countries all over the world and they live together under the same roof for the entirety of the program, which has led to peer-to-peer learning opportunities and new friendships among diverse yet likeminded entrepreneurs. The progress we’ve witnessed from the beginning to the end of the program has been truly inspiring. One of our founders had a beautiful slide deck and compelling story but was a little shaky on their pitch. After workshops and mentor sessions with experienced CEOs, VCs, and journalists, they delivered a perfect pitch at our demo day that opened new doors for their company. 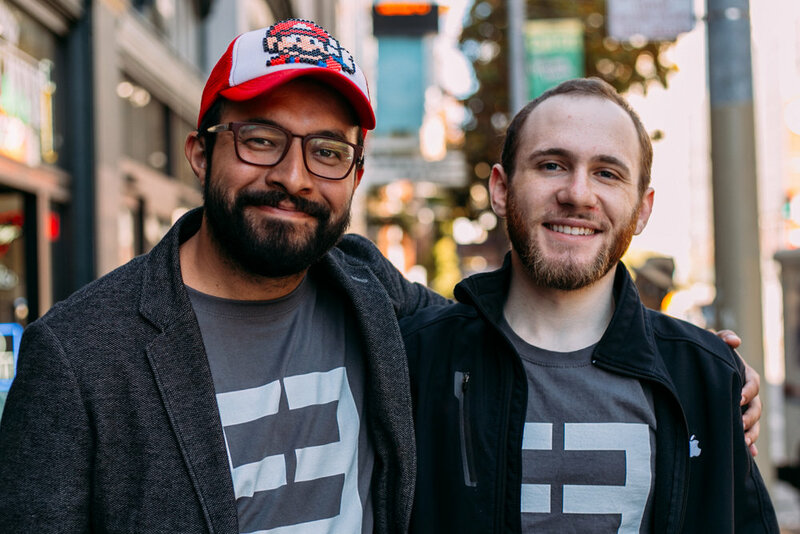 When we started Founders Embassy, we knew that the bedrock of a successful acceleration program would be the individuals behind the scenes – the volunteer mentors, thought leaders, and domain experts who are aligned with our mission to unlock Silicon Valley for the world’s most talented makers. Our origin story began nearly two years ago while working with Canadian entrepreneurs. Through non-profit C100, we brought the top startups from up north to Silicon Valley to receive education and connections. But we soon realized how urgently this service was needed by founders from every continent. We believe that entrepreneurial talent and potential is evenly distributed throughout the world but that access to the resources needed to become a successful startup is not. If you want to show your support, keep introducing our program to high-potential post-seed, pre-series A stage companies. If you know press or sponsors who'd be interested, we'd love to talk to them. And if you have an area of startup expertise, ask us about teaching a workshop. The beauty of the future is that it's ours to make. Progress happens fastest when we collaborate. That's why we so deeply appreciate your help. A journey shared is a journey more profound, and we're so excited to keep sharing this journey with you and our founders. Founders Embassy begins reviewing the first wave of applications of post-seed, pre-series A startups and announces the dates for the Summer 2018 Class. Founders meet with W Lounge founders, Mali Baum and Karolina Attspodina in Berlin. FE announces the dates for the Summer 2018 class and Borderless Summit 2018. A new partnership with Amazon Web Services is developed to offer $5K in AWS credits to Founders Embassy alumni startups. Founders Embassy hosts their first International Women’s Day event. In honor of International Women's Day 2018, Founders Embassy gathered in the beautiful Bespoke space to celebrate the women who empower, inspire, and encourage in our personal, professional, and spiritual lives. Founders Embassy attends SXSW in Austin, TX, mentoring young music tech startups during the SXSW Hackathon. Founders Embassy welcomes their first class of international founders to for the first FE acceleration program and Borderless Summit Demo Day. Backpacker College (Canada): The go-to destination for travelers to find affordable accommodations and great experiences in every college/university community in the world. BUSSI (Mexico): The vanpooling platform for commuters that creates crowdsourced routes to build reliable on-demand transportation. LoadMe (UAE): The First Transporters Market in the Middle East that connects load owners with available trucks in their area. MYRA Mirrors (USA; Poland): Myra Mirrors seeks to redefine augmented reality, and change the way developers create apps for smart surfaces. 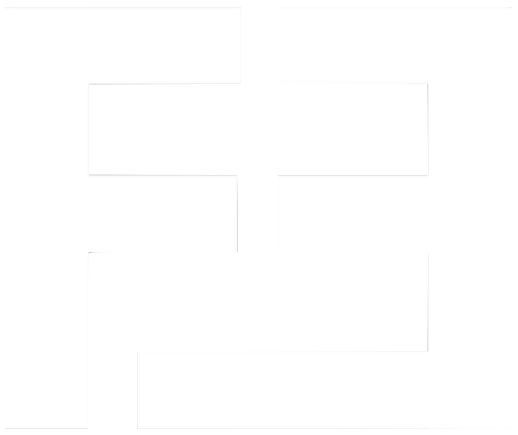 STEMN (Australia): The Open Source Network for Science and Engineering. Cloud native developer tools for team collaboration. FE partners with WeWork to host their first Dining Without Borders event. The Dining Without Borders Series is an ongoing event series focused on celebrating diversity and different cultures, where food and conversations bridge all barriers and borders. Think of it as a meal that gathers people of different heritage, cultures, and backgrounds to discuss, share, and learn from each other. Founders Embassy’s first large conference, Borderless Summit, was the culminating event for the Summer 2018 FE class. The day included 18 on-stage talks, startup pitches, panels and fireside chats, making it perhaps one of the most packed lineups ever to be attempted in one short day. Read the full recap and check out videos from the event here! Founders Embassy Accelerator is featured in Forbes: “These Founders Are Making Silicon Valley Borderless For Immigrant Entrepreneurs”. Andee joined a panel discussing international entrepreneurship at the Startup Summit in Florionopolis, Brazil. Founders Embassy evaluates applications and launches campaign for the Fall 2018 Class November 1st - November 15th, 2018. Founders Embassy selects the Fall 2018 Class! Anastasia speaks to aspiring entrepreneurs at Draper University in San Mateo. Andee speaks to young entrepreneurs in Armenia at the Hive 2018 Summit by Hive Ventures. Joining her on stage were investors and founders from Silicon Valley, including, Ilya Fushman (General Partner, Kleiner Perkins), Vijay Pandurangan (Entrepreneur in Residence, Benchmark), Geoff Ralston (Partner, YCombinator), Nina Achadjian (Principal, Index Ventures), David Selverian (Investor, Bessemer Venture Partners), among others. The Fall 2018 Founders Embassy Class arrives in San Francisco for the first two weeks of the month, participating in two immersive weeks of rigorous programming including roundtable discussions, mentor mixers, coaching, and workshops to networking events and finally the Fall 2018 Demo Night, where they pitch their startups in front of hundreds of Silicon Valley investors and founders. 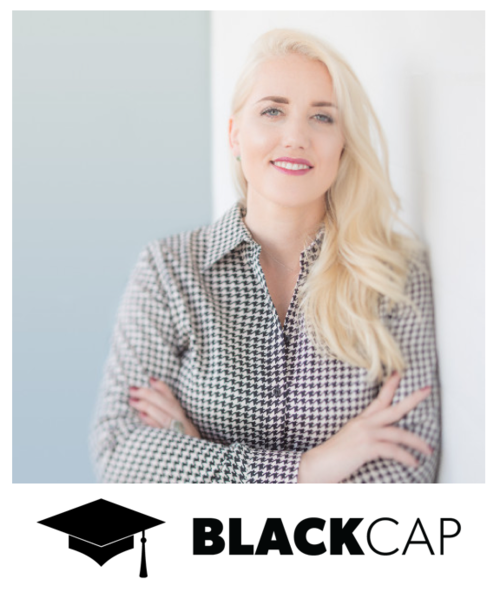 BlackCap (Australia) - Marketplace for the education ecosystem of the future. 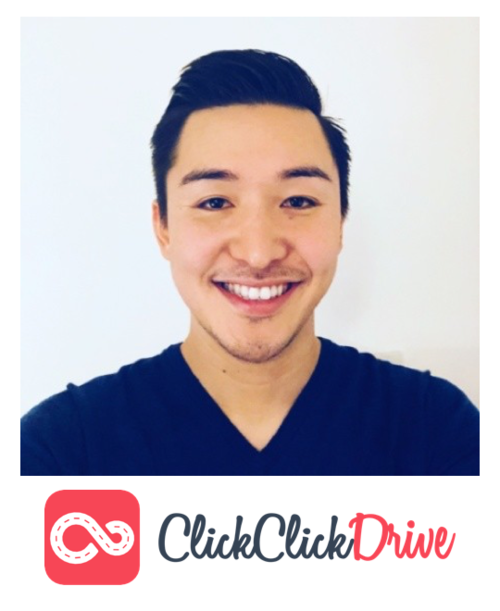 ClickClickDrive (Germany) - Find your driving school. 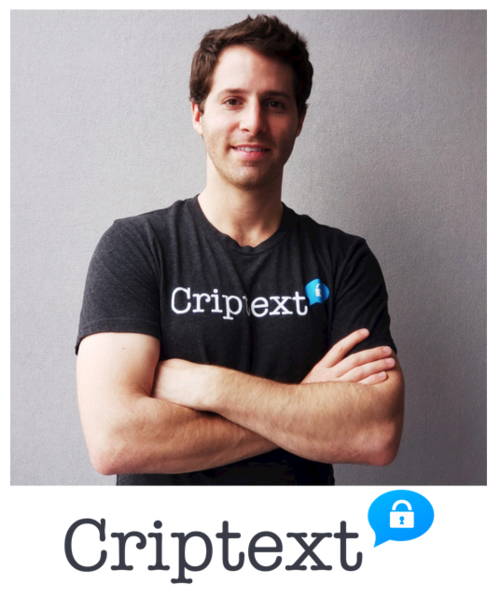 Criptext (Panama) - Hypersecure email service that decentralizes user data for exclusive storage on personal devices. Flixup (France) - Create social videos using gifs, clips, and vlog content from others. iMirror (Canada) - The world's most advanced interactive mirror. 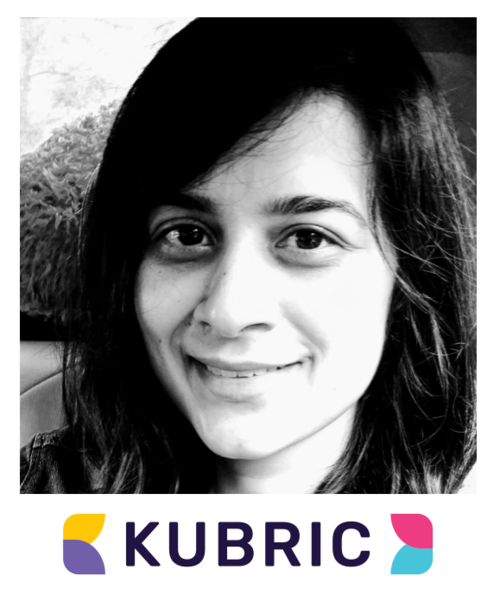 Kubric (India) - AI-video solution for e-commerce. MandarinX (China) - Chinese Language Learning Experiences for Everyone. MERIT (UAE) - The leading online employee engagement & incentives platform in the Middle East. Sharebee (Canada) - Connects trusted hosts who have unused space with renters looking for storage. Founders Embassy accepts companies for the Winter 2019 class of founders to land in San Francisco February 21st – March 7th, 2019! To our partners who supported Founders Embassy’s efforts in the last year, we are so grateful for the generosity and love that you have outpoured to us and the founders going through our programs. We truly couldn’t do this without you. Judith Shahvar at Bespoke, Katie Doherty at Runway, Sarah Carroll at General Assembly, Chase LaMarche at WeWork, Beau-Robert Metcalfe, Rebecca Brian Pan, and Kalin Kelly at Covo, and Matthew Jones at Mindspace. Nina Achadjian, Kobie Fuller, Prateek Alsi, Niko Bonatsos, Ho Nam, Kyle Lui, Alan Chiu, Andrea Drager, Rahim Fazal, Tim Fong, Carl Fritjofsson, Aaron Jacobson, Tiffany Luck, Megan Maloney, Ben Orthlieb, Sami Ramly, Andrew Van Nest, Olivia Wang, Audrey Melnik, Thomas McLeod, Kate Talbot, Ameena El-Bibany, Pascale Diaine, Nakul Mandan, Eric Quon-Lee, Pedro Sorrentino, Crystal Huang, Andy McLoughlin, Lindsey Mignano, Manan Mehta, Brian Ma, Josh Constine, Matt Howland, Nish Nadaraja, Homan Yuen, Jacob Mullins, Siri Srinivas, Manoj Verma, Ali Vahabzadeh, Barbara Meyer, Duke Chung, Henri Deshays, Sean Sheppard, Dr. Ossama Hassanein, Max Menke, Nick Triantos, Tom Kosnik, Yasmeen Turayhi, Justin Kan, Lauren Vaccarello, Niki Choo, Alex Farman-Farmaian, Chris Goudy, Matthew Yazzie, Robb Miller, Paul Hsiao, Balaji Srinivasan, Steve Cadigan, Louise Fritjofsson, Ali Benslimane, Sandy Khaund, Marvin Liao, Ashmeet Sidana, Scott Sorochak, Jim Mayock, Brit Summerill, Sophie Alcorn, Jess Lee, Ritu Narayan, Erik Torenberg, Leslie Voorhees Means, Lo Toney, Neel Bhatia, Ashley Carroll, Rana Gujral, May Samali, Ysiad Ferreiras, Nathan Beckord, Priya Kuber, Michael Morgenstern, J. Ryan Williams, Mike Rogers, Slava Rubin, Baiju Bhatt. If you want to help us build a more inclusive Silicon Valley, apply to become an official Founders Embassy Thought Leader here. And, last but not least, to our amazing event volunteers and Founders Embassy Interns that have supported us across multiple events and programs. Meet the brilliant Silicon Valley minds behind the FE Acceleration Program!